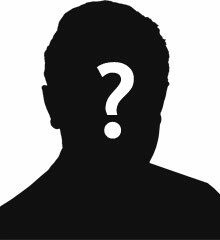 Edward George Francis Gunning was the son of Francis Porter Gunning, J.P., and Kate Francis Gunning. Edward was born about 1890. His father was a linen merchant. 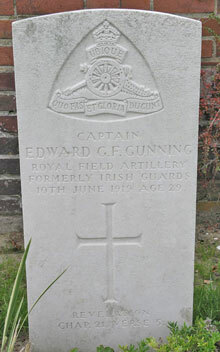 Temporary Captain Edward George Francis Gunning was serving with the Royal Field Artillery, attached to the Royal Army Ordnance Corps (R.A.O.P), when died on 10th June 1919, aged 29. Captain Edward Gunning is thought to have died as the result of an accident. Les Baraques Military Cemetery will be found on the western side of Calais. It is just off the D940, the road to Sangatte, and CWGC signposts are in place directing visitors to the cemetery.